Description: The American Perimyotis (Perimyotis subflavus) has fur that ranges yellow-brown to reddish, typically referred to as tri-colored. It is often confused with the American Parastrelle. About the American Perimyotis: This bat used to belong to the genus Pipistrellus, so there is information and pictures that still refer to them as the same, or as the Eastern Pipistrelle. 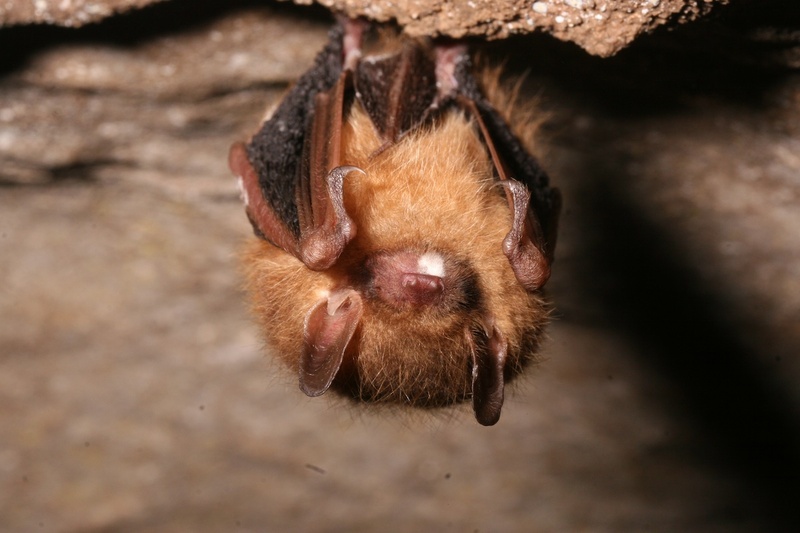 This hibernating bat uses caves, mines, crevices, and dams as roosts. They mostly roost alone or in groups of 2-3 individuals. They are one of the first bat species to enter hibernation and one of the last to emerge. If they do roost in trees they prefer larger oaks. They have a broad insectivorous diet and females usually give birth to two pups.